COMMENTS: public transport series since 2003. Plate style since 2003. Panel to the right: above - = Iran in Persian. 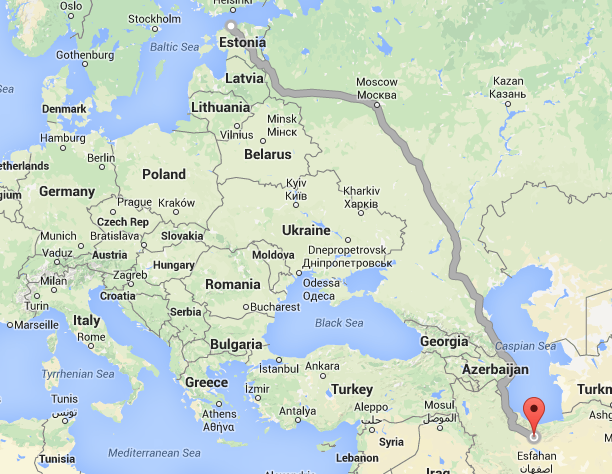 (17) =West Azerbaijan. 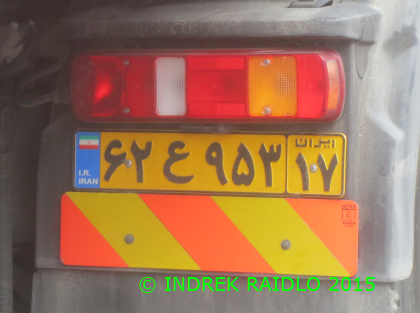 Serial in main part of the plate translates as: 62 (ayn) 953. COMMENTS: series for vehicles travelling abroad since 2010. Plate style since 2010. No coding. Letter A issued from 2010 to 2012. 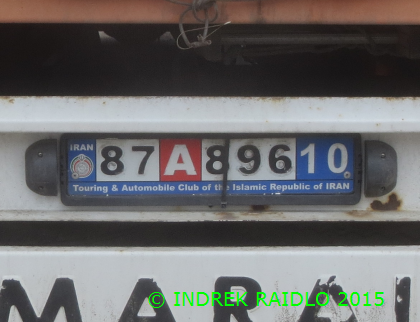 Euroband look-alike with Iranian flag issued since 2003 to the left of most series plates. Emblem to the left of abroad series.